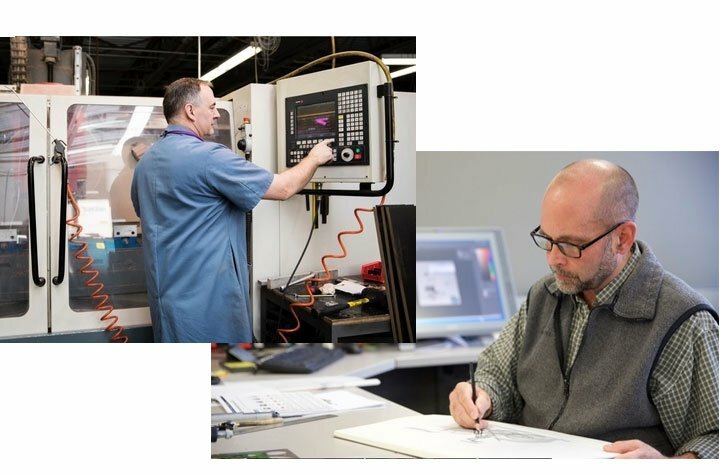 ProForm® is America's No.1 selling fitness brand, with over 50 US Patents and over 20 years' experience in the industry. 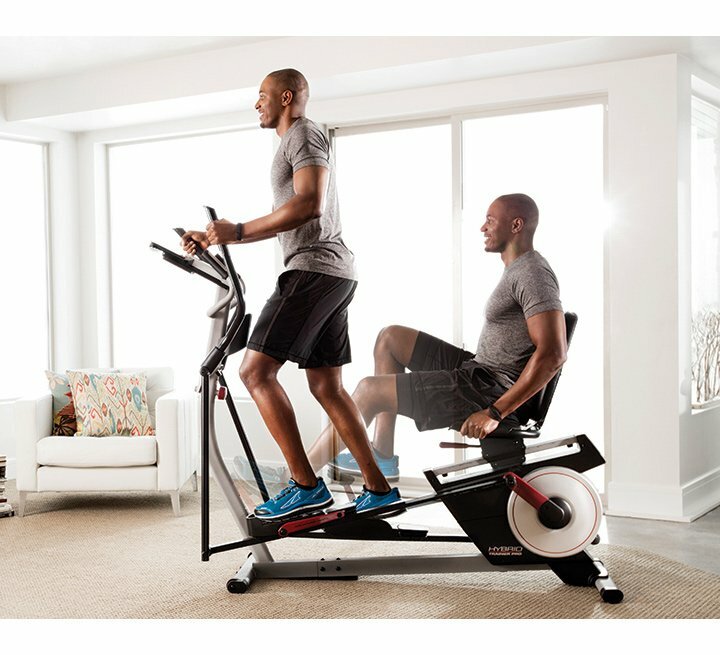 ProForm® Fitness works hard to produce equipment and technology that aspires to push you further each day. 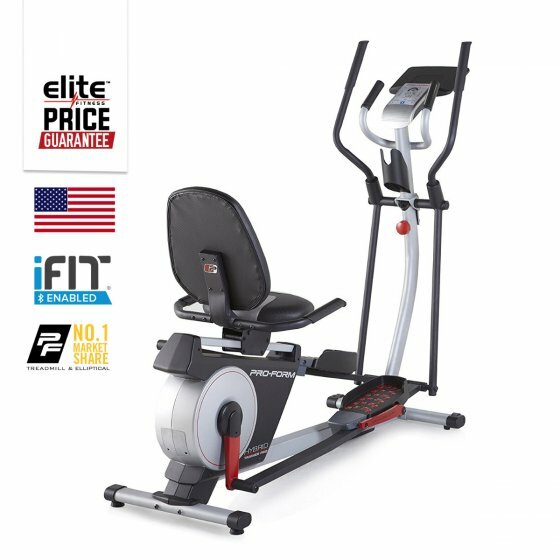 The ProForm® Hybrid Trainer Pro is a fantastic value for a great price as it combines two high-quality machines, an elliptical cross-trainer and recumbent exercycle. 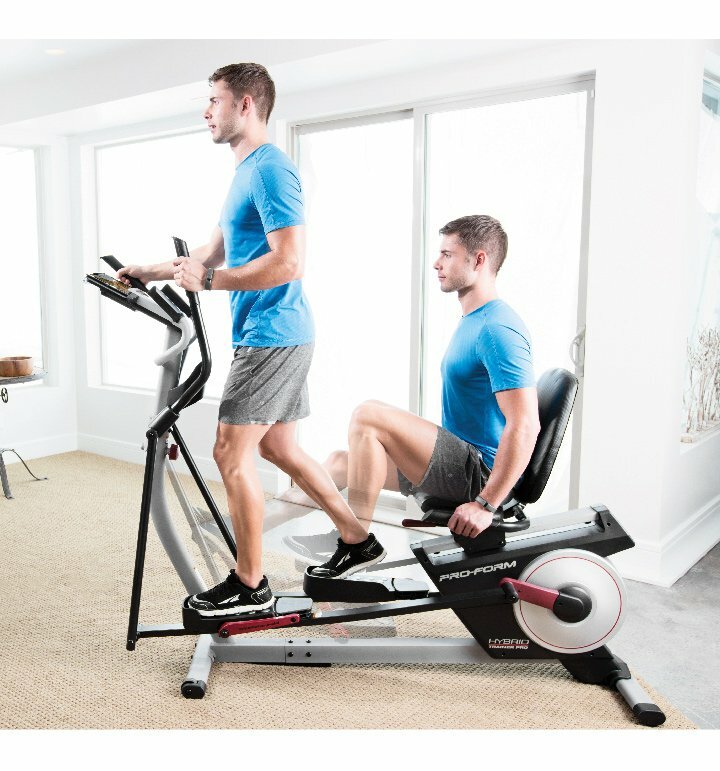 Experience double the benefits and get faster results with a total-body elliptical workout, and effective cardio on the exercycle - switching between the two is a breeze. 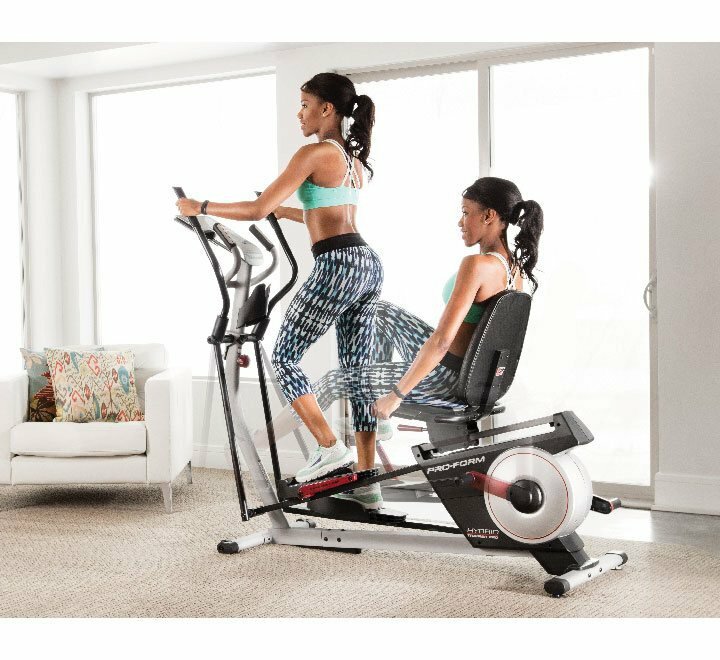 With the addition of iFit, the best in fitness technology, this space-saving hybrid machine will kick start your 2017 body transformation goals. 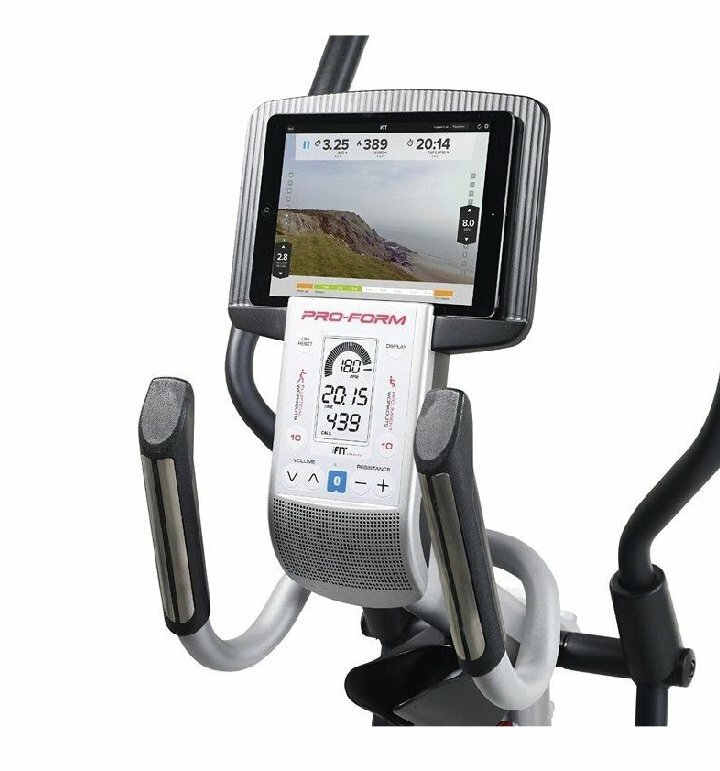 Console: Silver Tinted LCD Display feedback: Time, Resistance, Distance, Pulse, Calories, RPM. Programs: 20 Built-in Personal Trainer Workout Programs. 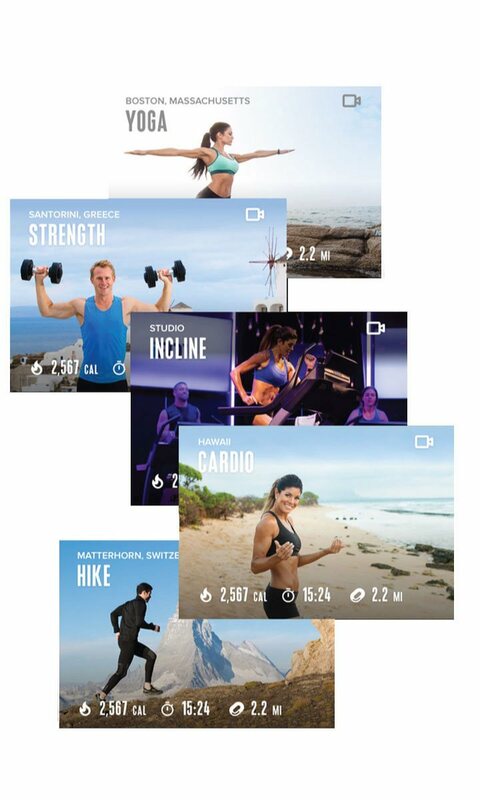 Resistance: 20 Digital Resistance Levels with SMR (Silent Magnetic Resistance). Rear Drive System: The compact and small footprint is perfect for any space. 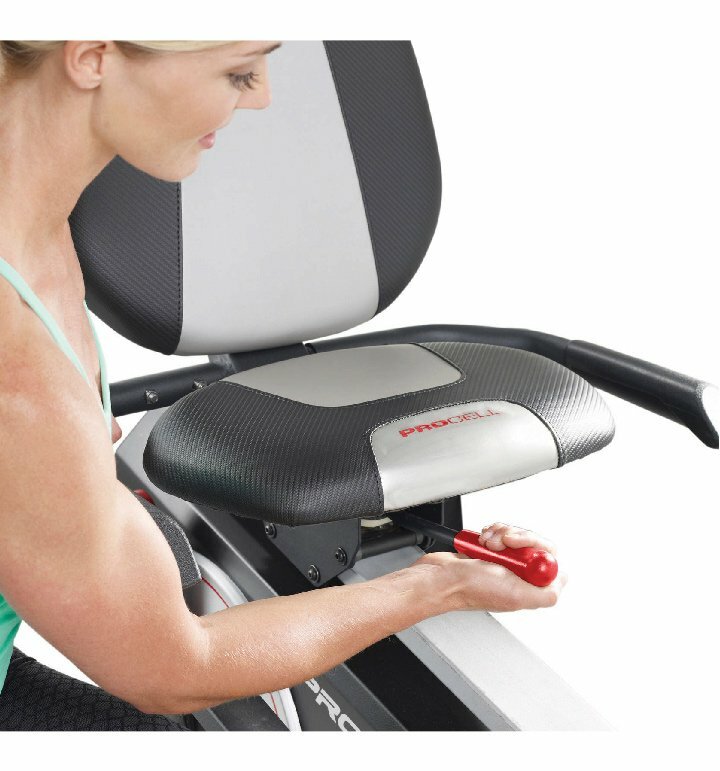 Adjustable Cushioned Seat: An oversized seat which has added cushioning and easily adjusts so you find the perfect fit. iPod® Compatible: Just plug your iPod®* or MP3 player into our built-in two 2-inch speaker sound system. 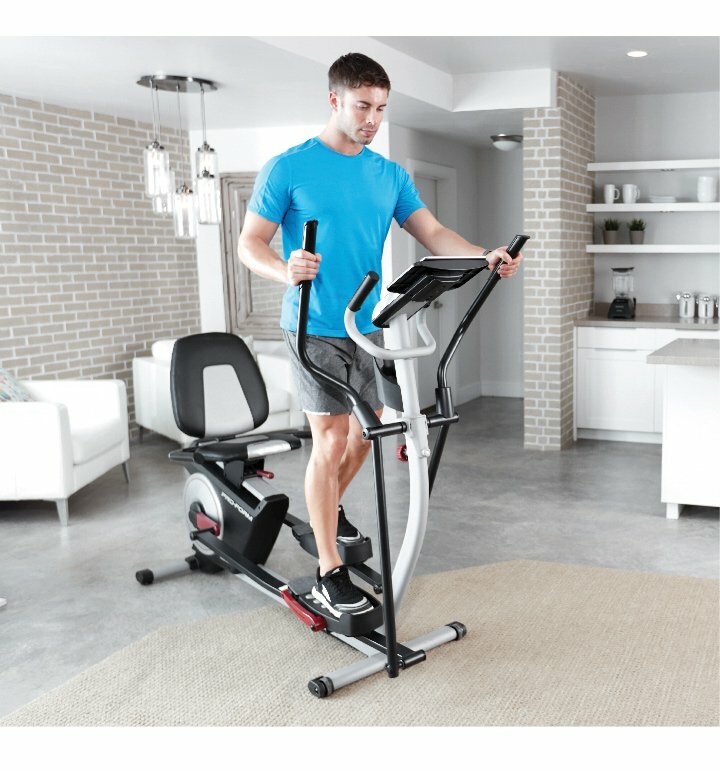 iFit™ Enabled: Built-in Bluetooth Smart Technology uses iFit App for iFit features and has an integrated tablet holder. Dual-Grip EKG Heart Rate Monitors: Monitor your heart rate with these convenient built-in handlebar sensors.